is now presented every Sunday afternoon. listening to live music on the piano. Reservations highly recommended. Please dial 407-597-5409. To preview the menu for A Royal Tea, please click here. Having an office next to the director of Food & Beverage for Waldorf Astoria Orlando and Hilton Orlando Bonnet Creek has it perks. Especially when that office is occupied by Francis Metais, one of the most brilliant minds in food and beverage today. Sometimes, Francis would emerge from his office and make an official pronouncement of the day’s conquest, often to nobody in particular. It was a ritual to mark the beginning of his latest project. This happened time and time again, always with amazing results… and a parade of “test meals” fresh from the Waldorf Astoria kitchens, located one floor below. These were innovative ideas that eventually became menu staples, along with raves from our guests – items like “The Lemon” and “Pasta Explosion” at Bull & Bear, for instance. Sometimes they were twists on a favorite, like hummus made from edamame, or a chocolate dessert made from lentil beans. I didn’t always comprehend his vision, partially because of his perfectly thick French accent. But the proof, as they say, was always in the pudding. And I (as well as other members of the Marketing and PR team), made sure we were readily available to lend our taste buds to the cause. As you can imagine, it was difficult to work that morning. I love cinnamon rolls, and I had no doubt these would dazzle. Francis is a classically trained pastry chef from France, and his work alongside executive pastry chef Kurtis Baguley is legendary. He is the pastry team’s biggest cheerleader, as they have developed new menu items that lead the Orlando market. That afternoon, I heard the door open, and a team of chefs came in, led by chef Kurtis. I could smell the sweet aroma of cinnamon. My mouth began to water. I heard muffled conversations, followed by a click. The door closed. The cinnamon smell slowly faded away. Oh no. Panic set in. I could hear the ticking of the clock. My mind raced. Confused, I stuck my head in Francis’ office. “Where’s the cinnamon rolls,” I said, hoping to find a platter in his office. This happened several more times that week: a team of chef came in… followed by discussions… and the team of chefs would leave with an unfinished platter of cinnamon rolls in tow. I could barely stand it. The magic hour had arrived. It all came down to this. And one bite was all it took. I was in love. I could see the smile on Francis’ face. “Now that is a Waldorf Astoria cinnamon roll,” he said. If this were a movie, there would have been a crescendo of music. People would have applauded. Tears would have been shed. Me? I took a second bite. Wow. The dough, a wonderful mixture of textures similar to that of a croissant or a Danish, was extremely light, airy, and flaky. The icing soaked into the dough, creating, well, the perfect cinnamon roll. Hungry? 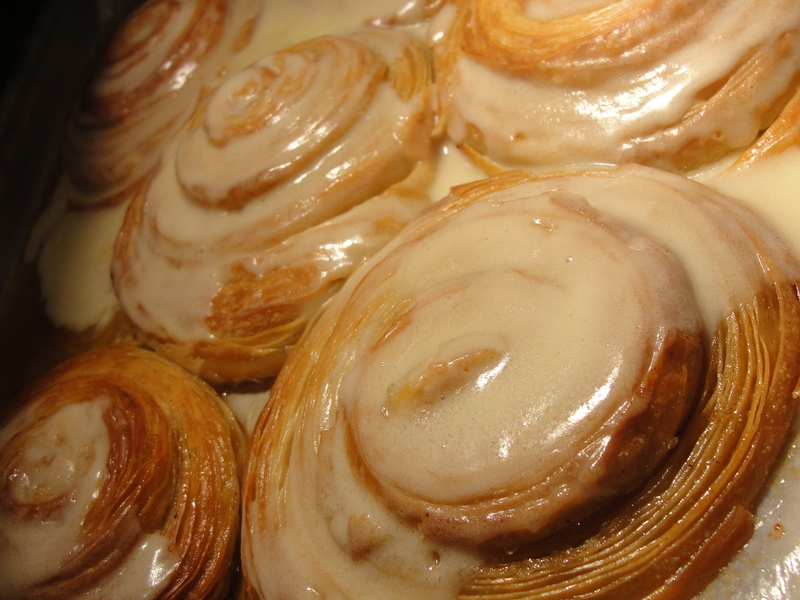 You can experience for yourself what we refer to as the Bonnet Creek Cinnamon Roll. At Hilton Orlando Bonnet Creek, they are served warm at MUSE, the lobby coffee and sweet shop. Guests come down early in the morning to claim their treat before we sell out for the day. Yes, they are that popular. At Waldorf Astoria Orlando, they are often found on the breakfast buffet at Oscar’s, where a pastry bar is filled with the many of innovations of Francis and Chef Kurtis… all developed with enthusiasm and baked with love. A visit to either hotel just isn’t complete without a bite. And listen for the crescendo of music in your head! Zeta Bar Serves the Best Sushi inside the gates of Disney World. 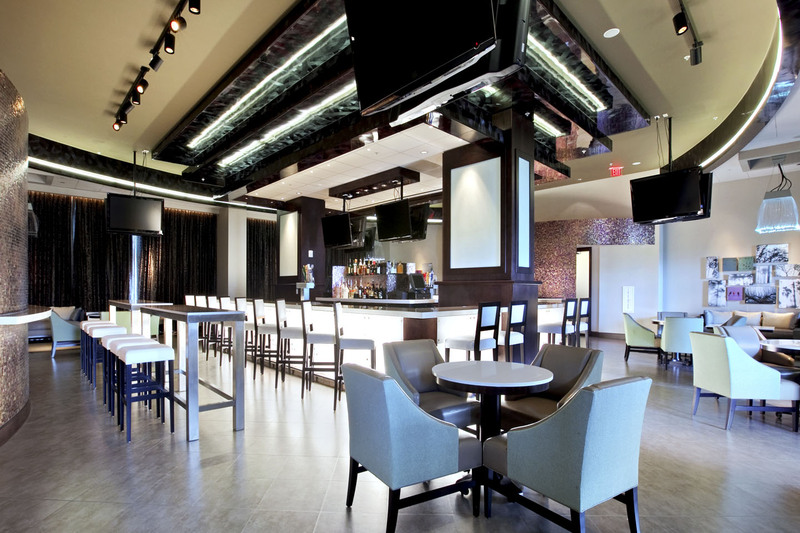 Did you know Zeta Bar at Hilton Orlando Bonnet Creek is Orlando’s newest place for sensational sushi? The man behind the sushi at Zeta Bar is Chef Daniel Ling. Chef Daniel was born in Hong Kong and came to the United States in 1988 to work as a server in Epcot’s Nine Dragons Restaurant. After Disney, Daniel decided to further the hospitality education that he started in Hong Kong by attending Mid Florida Tech, followed by the California Sushi Academy in Venice Beach. After graduating, he worked as a Sushi Chef in California before returning to Central Florida, where he was Sushi Chef at Kimono’s, a popular sushi establishment. Daniel left Kimono’s after 12 years to join us in Zeta Bar as Sushi Chef Extraordinaire. Be sure to say hello to Chef Daniel at Zeta Bar… and we recommend the Dragon Roll! 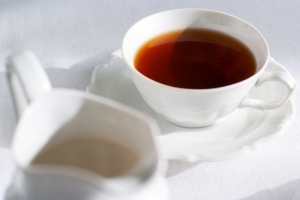 Sunday, May 13, 2012 – A Mother’s Day Tea! listening to live piano music. To preview the menu for the Royal Tea, please click here. 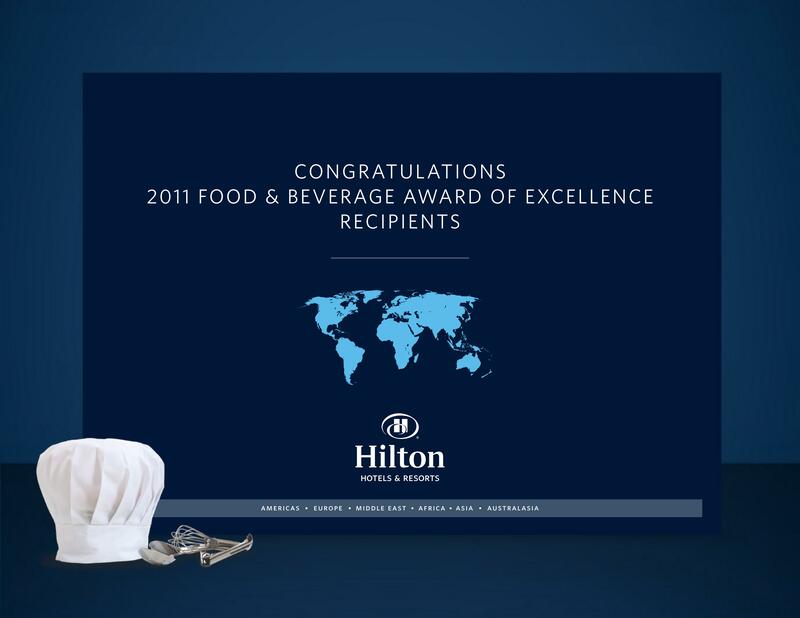 Food & Beverage Team Takes Top Hilton Honors! Congratulations to the Hilton Orlando Bonnet Creek Food & Beverage team, led by Director of F&B Francis Metais and Director of Restaurants Anthony Colandro. Great news! Hilton Orlando Bonnet Creek has received the highest scores in the Americas for excellence in Food & Beverage. The hotel received the highest satisfaction and loyalty guest feedback scores (among large hotels) in many critical areas, including helpfulness of restaurant staff at breakfast, variety of food choices at breakfast, breakfast food quality, helpfulness of restaurant staff at lunch/dinner, variety of menu choices at lunch/dinner, food quality at lunch/dinner, timeliness of in-room dining/room service, and quality of event food and beverage. Quality (and memorable) dining is a critical part of the Hilton Orlando Bonnet Creek experience, including La Luce by Donna Scala, which was named best hotel restaurant in Orlando by the Orlando Sentinel food critic; and Harvest Bistro, where kids eat free for breakfast and dinner. We are proud to have received the continued recognition from our guests, and from the Hilton Hotels & Resorts brand. We welcome you and your family for our 3rd Annual Easter Celebration! Hop on over to Bonnet Creek, where we are egg-static to invite our Waldorf Astoria Orlando and Hilton Orlando Bonnet Creek family back for another memorable Easter weekend, filled with festive activities created with you (and your family) in mind. At Waldorf Astoria Orlando, meet a live bunny after the Easter Egg Hunt! There’s more… Hilton Orlando Bonnet Creek will feature Spring Fling on Saturday and Sunday, from noon until 5pm, featuring an inflatable water slide! A slip slidin’ good time! And when night falls, enjoy a Dive-in Movie every evening at 8:30pm at the Hilton pool: A Bug’s Life on Friday, Tangled on Saturday, and Rio on Sunday night. At Harvest Bistro, a magician will provide breakfast entertainment in the foyer on Easter Sunday from 8am until 11:30am, for our guests who want a hearty breakfast before a day of theme park fun. And remember that Kids Eat Free at Harvest Bistro, up to two children per full-priced adult meal. For Easter Sunday Dinner, Harvest Bistro will feature a Dinner with the Easter Bunny, featuring a buffet from 4pm – 10pm. (Easter Bunny will be present from 4:30pm – 10:30pm) Prices: $39/adult, $19/child. And remember that Kids Eat Free at Harvest Bistro, up to two children per full-priced adult meal. At the Sena lobby bar, we will feature $4 Easter Bunny Bellinis all day long. And don’t miss dinner at La Luce by Donna Scala, where we will highlight special holiday features on our a la carte menu. Rooms at Hilton Orlando Bonnet Creek are expected to sell out quickly, be sure to reserve your room today. Advance purchase specials available. More details will be available soon! Watch this space for further information about Easter weekend at Hilton Orlando Bonnet Creek and Waldorf Astoria Orlando.